How do you identify a winner? What traits does a successful employee have? How do you attract and grow talent? There are many ways to recruit and attract. Here are just a few. Have a great company website. Employees today pick you rather then you pick them. Websites need to go beyond the goods and services you provide but talk about careers, how you operate and as a new employee you are valued. Use the social mediums — sites like LinkedIn and Monster — to advertise your position. Advertise your position in the right journals, association flyers and blogs. Spend the time to make sure your job description matches what you are looking for. Have HR, functional folks review and approve the final posting. You must explain your culture and mission in all these external communications. People need to get a feel for your company. Is it a match for them and you? Use your employees and their networks. Often times the new employee maybe someone who is not necessarily looking for a new position. 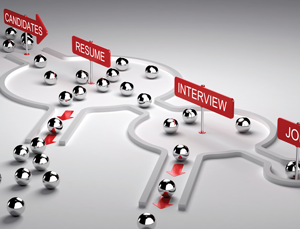 During the entire hiring process you should have current employees be part of the process. first key is to know what you want in an employee. I recently listened to a documentary on Jimmy Johnson’s career. He was a successful college and professional football coach with several teams but most notably the Miami Hurricanes and the Dallas Cowboys. He was asked a question about how to identify the best talent. How do you know which high school recruit will make a great college player? Likewise, what collegiate player will be a successful professional? He listed the traits in ranked order one to 10. His first traits were: Can he play? Does he have passion? Does he have game awareness? He went on to say that many athletes were blessed with size, speed and quickness but it was this intangible that made the difference. Many people have the hard tools, great education, academic excellence and the right experiences but do they have the soft skills. Can they work in a team environment, inspire co-workers and engage others. When assessing new employees you should set up a process where you measure these soft skills traits. Emotional Intelligence (EQ) is so important for leaders, employees and the workplace. People that possess these traits seem to do better inside organizations; they become your top talent. Self- awareness: emotional self-awareness, self-confidence and accurate self-assessment. Self-management: transparency, adaptability, initiative, and self-control. Social awareness: empathy, compassion and a sense of servitude. Social skills: trust, honest, communications, collaboration and influencing others in a positive way. These elements are not easy to assess and measure. As a company trying to attract great talent, promote and grow your folks, it is essential to take the time to establish a plan. This plan should include how and what questions you should ask during the interviewing process. During the on-boarding time you need to start the training and teaching of these skills. As you grow the individual you must track, measure and provide feedback so that they can personally improve, gain the confidence to work with others, show compassion and develop a trust with the team. Jack Welch, my boss for many years, knew that people made the difference he had a corporate process across our entire company called Session C. Jack always measured people on two things: their ability to make things happen, and did they have personal energy and drive to energize people. Twice a year Jack would come to each individual business within GE and spend an entire day to discuss people. By April of every year he would have assessed all the top talent across the entire company, thousands of people. He and the corporate Human Resource team established criteria around operational excellence and soft skills. Everyone was measured the same way. He demanded that career growth plans be established for each high potential person at all levels. He spent a great deal of time talking, counseling and advising early to mid career folks. He was constantly challenging us to give folks meaningful roles, stretch people and allow them to grow through diverse and tough assignments. This drove our behavior thus GE became known as a company that grew leaders. He made growing our talent a priority. Set up some good performance management tools. Continue to assess your talent, provide mentoring and training. Most importantly tell them you believe in them. And finally, engage your workforce constantly in all areas; they must be part of the team. 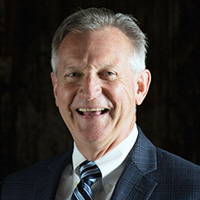 McEwan, who retired as the general manager of GE Aviation’s global supply chain, continues to consult with GE Aviation, its partners and other aerospace companies in engineering and supply chain management. He also conducts leadership seminars for executives and corporate staffs. For additional information, visit mcewanleadership.com. Show me a winning team and I’ll bet they have a dynamic leader. Leadership makes the difference. Attracting top talent to join your company requires a strategic plan and commitment to excellence. Sexual harassment, workplace violence and hostile work environments are not acceptable. We need to support, encourage and unleash this generation to be the best they can be. Great leaders coach, teach and mentor folks through these times. They support them with advice, listening and making suggestions, but they don’t do it for them.